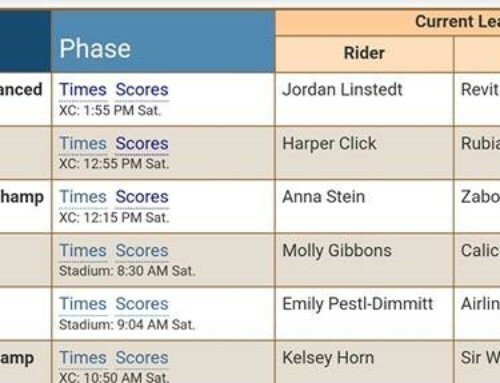 Ride times for Aspen Farms Horse Trials June 8-10th are posted online at Startbox Scoring, here. You can also follow along there for live scores and results throughout the weekend. 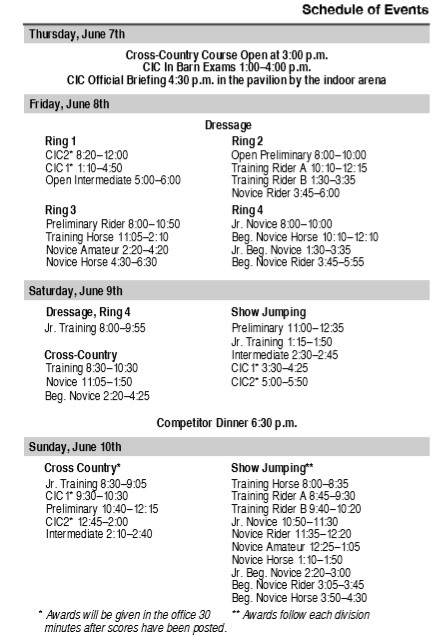 The Schedule of Events is online here and in the show program available in the show office starting Thursday. Spectators are welcome at Aspen Farms! 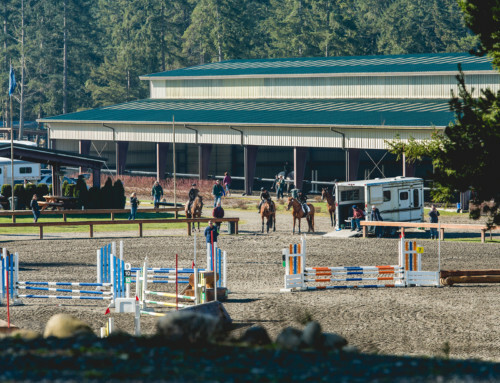 Car parking is located near the indoor arena and show jumping arena. Food vendors and shopping will be on-site all weekend long. We are a dog-friendly show; dogs must remain on a leash at all times and please dispose of waste. You can get a show program and purchase Aspen Farms swag (shirts, hats, coats, etc.) in the show office near the scoreboard. Thursday, 1-4 p.m. FEI IN BARNS. Horses will jog, but not formal. 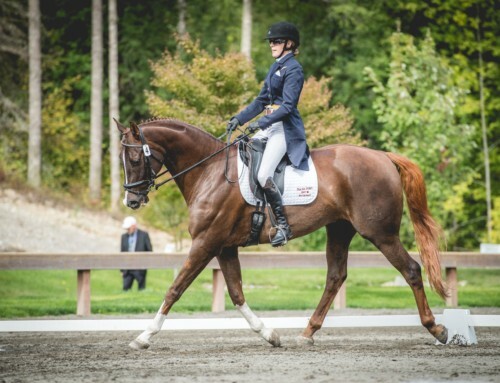 Thursday, 4:30 p.m. FEI RIDER BRIEFING in the pavilion near the indoor arena. Area VII Adult Riders: There will be an Adult Riders Social on Friday night 7-8:30 p.m. The location will be posted on the white sign board outside the show office or contact Sara Mackenzie for more details. The theme of the party is to dress in something that demonstrates the level at which you are competing (ex: beginner novice rider wearing green to match the XC numbers). Want to get involved? Sign up here to volunteer or contact our volunteer organizer, Eva Elliott. We have a few openings still to fill on Saturday and Sunday, and your support is greatly appreciated! Volunteering is a fantastic way to support the show and promote the sport of evening in our area. Our volunteers receive food and beverages as well as swag–we are grateful for your help! 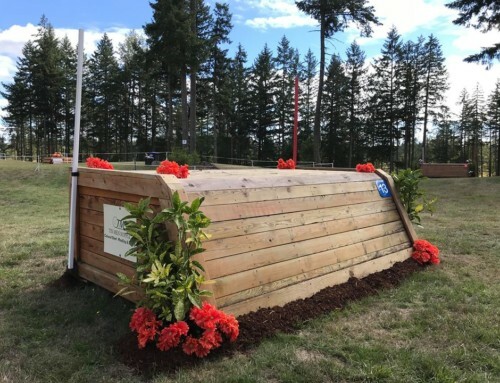 Follow along with show coverage on Aspen Farms Horse Trials Facebook page or our Instagram. Please post your own stories, pictures, and videos from the show using hashtags #AFHT and #AspenFarms. We love to follow along! 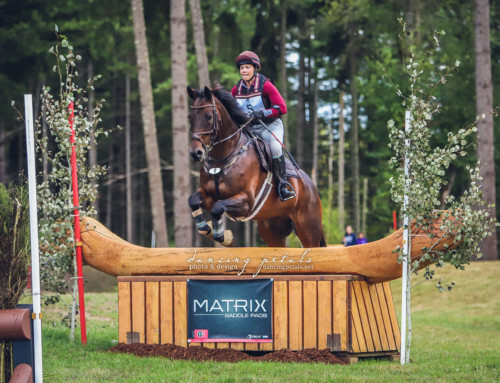 Please direct any questions about ride times or entries to our show secretary, Christina Gray, at christina@grayareaevents.com or 805-239-3930 ext. 1.